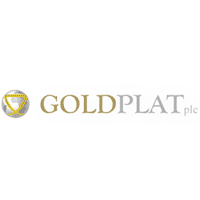 Goldplat plc (LON:GDP) Chief Executive Officer Gerard Kisbey-Green caught up with DirectorsTalk for an exclusive interview to discuss their operational update for the three months ended 31st March 2018. Q1: Gerard, we are chatting this morning about Goldplat’s third quarter operational results, what are the highlights, in your opinion? A1: I think the highlights of the quarter, which we can of course discuss in more detail, firstly the final conclusion of the Rand Refinery dispute, secondly the completion of the elution plant and related infrastructure at Gold Recovery Ghana and the fact that production is in line with the corresponding quarter in the 2017 financial year. Q2: Production of just short of 7,000 ounces of gold, on an annualised basis, it doesn’t quite get you to your production targets for the year, is this of concern? A2: It is somewhat of a concern and it’s an interesting question. We are in a similar situation to where we were last year at this time, I think it’s important for investors to understand that the recovery business, and in particular on the by-products side of the business, essentially relies on a series of one-off consignments of material. The commercial terms of any consignment are governed by the bilateral contract, but few contracts actually dictate volumes or frequency of delivery, as such, we receive material pretty much at the discretion of the client. So, this is why we need to diversify our client base as much as we can, to ensure a more regular and consistent flow of by-product material. Right now, we have two large contracts which we are waiting to complete and for one of them to be processed during the final quarter, and if successful on one of them this should bring the production up to plan. Again, this is a very similar situation we had last year where a big consignment came through in the last quarter and we made our production targets. Q3: What exactly is the impact of the elution plant at Gold Recovery Ghana? A3: Having the infrastructure to elute and to smelt on-site in Ghana not only fulfils the requirements set out in the licence renewal but it makes economic sense for GRG and Goldplat and in fact, the local community. With further beneficiation to gold Dore bars being carried out in-country, additional employment opportunities are created, cost savings are achieved for GRG and various other spin-off benefits. In addition, the addition of this infrastructure adds to the ability to expand Goldplat’s recovery operations using GRG as a hub and is in line with Goldplat’s strategic growth initiatives. Q4: How are you progressing at Kilimapesa? A4: I think that it’s fair to say that we are dealing with challenges relating to grades and costs, it’s pretty much a “chicken and egg” kind of situation there where we are reluctant to spend money until we are comfortably making profits on a sustainable basis, but at the same time we need to spend money to address issues. So, take the conversion to grid power as an example, diesel is a major component of our variable costs, and the supply of diesel itself is erratic, as we experienced during election-related disruptions during 2017. So, the decision is whether to invest in conversion to grid power with the expectation that this will get us to sustained profitability or wait to prove profitability first, of course, the grid power example is one of many and they all need to be aggregated. At the end of the day, it’s not how much gold we produce that is relevant but how much profit we make so there is always the tug-of-war between capital expenditure, volume and profitability. I think as a team, we’re very focussed on sorting this out. Q5: We’ve discussed the Rand Refinery dispute numerous times over the years, now that it has played out are there any final comments? A5: I think just to say that we’re very relived that it’s all concluded and in our favour in terms of the fact that they paid us an undisclosed amount of money. More significantly, in hindsight, the whole issue did highlight for us I think a number of various risks that we had in the business that we weren’t really focussing on. As a result, we’ve addressed these risks so that the business is in a better state than it was before the dispute arose. So, Goldplat are back doing business with the Rand Refinery which in many senses is good and we’ve said before that it makes economic sense to do certain business with them and for them to do certain business with us. So, we’re there now, we’ve de-risked our business and let’s move forward.